The Rutgers Drone Team was invited to David Copperfield’s private island for billionaires in the Bahamas (normally $54,000/day). The team found four mosquito species on the island, listed here in order of importance: Aedes taeniorhynchus, Psorophora johnstonii, Aedes tortillis, Culex bahamensis. Surprisingly, no container species were found despite extensive surveillance efforts. Key habitat was identified as limestone sinkholes and shallow rainwater pools associated with silver buttonwood trees. A Special Topics class entitled “Tropical Pest Management” will be given on the island spring semester, headed by Profs. Gaugler & Unlu. The drone team has been invited to return next fall to conduct further experimentation on mapping and aerial application. All expenses are covered by Copperfield. 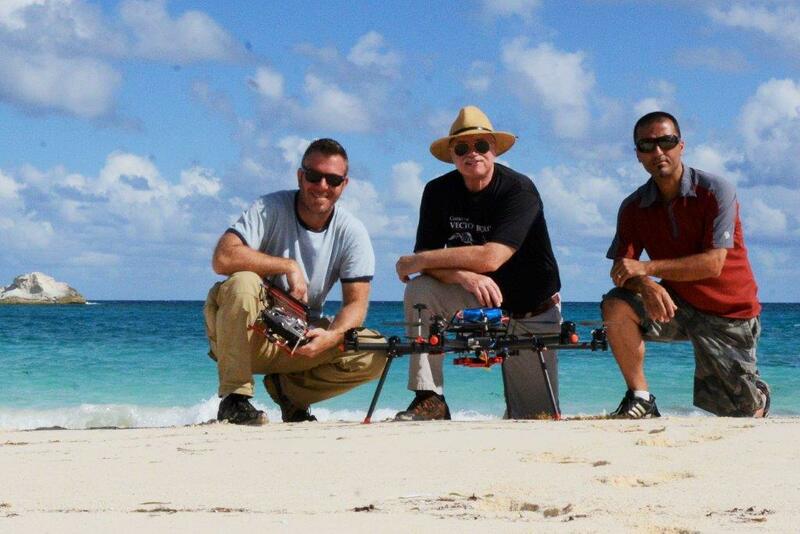 The Rutgers Drone Team (l to r): Drs. Greg Williams, Randy Gaugler, and Ary Faraji. This entry was posted in Uncategorized and tagged control, drone, island, tropical on November 20, 2015 by Lisa Reed.